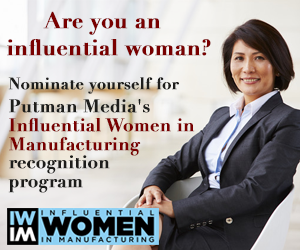 What can we do to bridge the manufacturing gender gap? In this WSJ Live video, Simon Constable talks with James Hagerty about why only 27% of the manufacturing workforce is female. Military veterans talk about filling skilled manufacturing jobs with ex-military personnel. In this interview, Mi-T-M's former director of operations, Patrick Siegert, talks about the HVAC system, why it was chosen, and what it's done for the facility. The process looks similar, but automotive assembly in 1936 used people where technology has since brought automation to the car plant floor. Offshoring, near-shoring, reshoring, or made in the USA? Indiana manufacturing and engineering leader gives his take on maintenance and energy. Indiana manufacturing and engineering leader gives his take on recruitment, training, and safety. This song lyrically depicts one musician's appreciation for skilled trades and crafts people. In part II of our interview with Meehan Lenzen, team coach at GE Aviation in Loves Park, Illinois, she tells everything about engineering's next generation. Thomas Shelow, owner of Superior Joining Technologies in Machesney Park, Illinois, describes how he developed his interest in welding, which ultimately led to the development of his precision welding laboratory. Tetra Pak's Peter Kaiser explains how to perform the right type of maintenance to get the right performance from your equipment. This video demonstrates the particular problems associated with the removal of condensate from temperature controlled heat exchange equipment, including the causes, symptoms and effects of 'stall'. These entertaining and educational videos illustrate the benefits of improving equipment reliability and machinery health.